The Ozarks Literacy Council is celebrating our 50th anniversary this year, but we couldn't have gotten this far without the dedication of our volunteers who help tutor students, staff events, and all of the other amazing things you do! 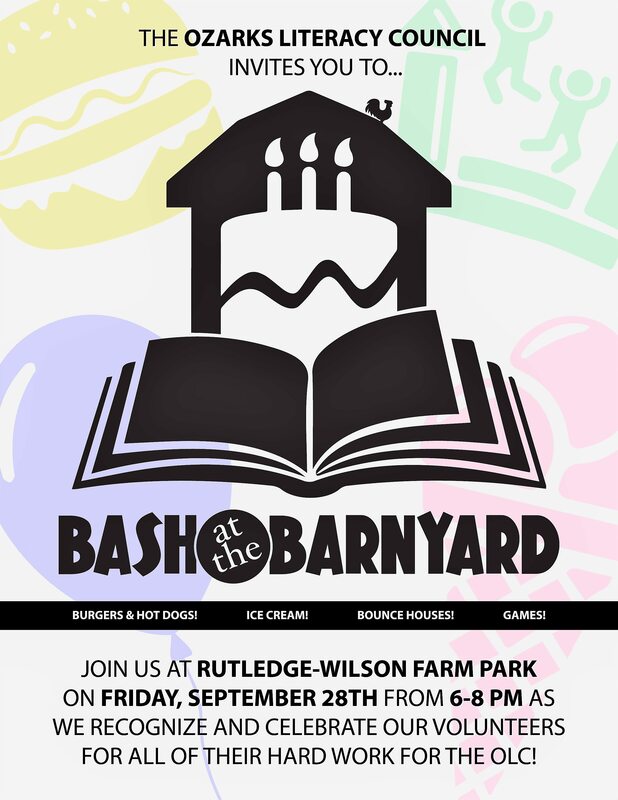 In celebration of your service, we are proud to announce Bash at the Barnyard at Rutledge-Wilson Farm Park on Friday, September 28th from 6-8 PM. There will be hamburgers and hot dogs, an ice cream truck, bounce houses, and tons of games and other activities, so bring your families and friends!